What a busy Sunday this has been! This morning I worked with the community from Scotsburn and surrounds as part of the ongoing bushfire relief project – of which you can see previous posts HERE. And then this afternoon I ran a workshop for the Ballarat branch of Yellow Ladybugs – a group that connects girl with autism – its been a great day!! 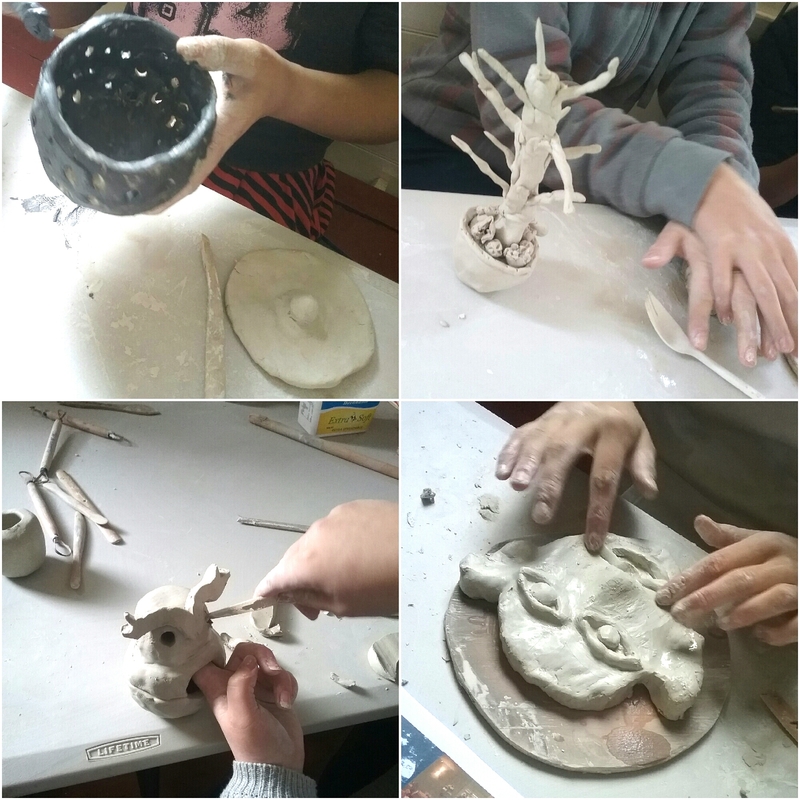 The Scotsburn group continue to create some fab ceramics – with a concentration on Christmas decorations this session. The bushfire occurred a week before Christmas in 2015, so there were lots of positive messages inscribed onto the decorations. And there were also some creative additions – all to be exhibited in the end of the year exhibition to coincide with the anniversary picnic in December. In the afternoon the Ladybug girls produced some amazing treasure boxes – they so enjoyed it, and so did I !!! I am writing this a day late as yesterday (Sunday) I just ran out of time after being at the Scotsburn Bushfire Art Relief project all day and then visiting friends who live in Scotsburn, and just managed to save their property, for dinner. 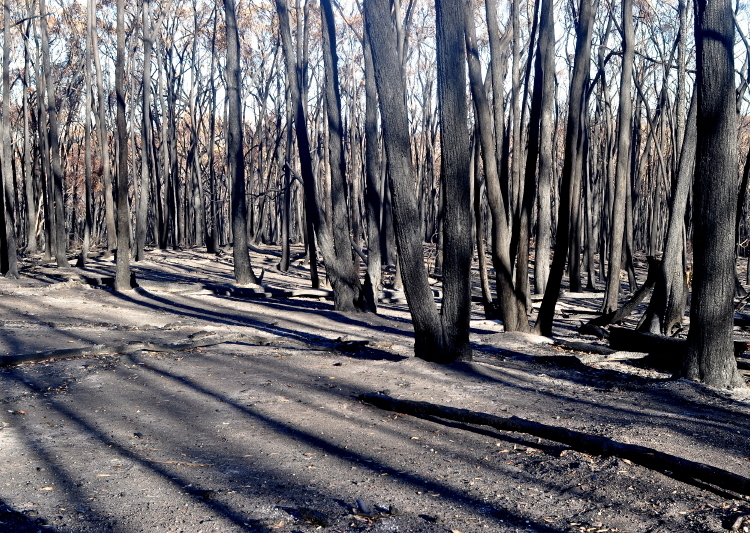 The Scotsburn fires happened a week before Christmas last year (2015), and burnt through 4,000 hectares, taking livestock, shedding, homes and precious memories. The Victorian government appointed a bushfire relief officer to facilitate healing in the community and as part of that initiative an arts program was established. This is the second art session we have held in the community – you can check out the first session HERE. There will be a third session in mid November culminating in an exhibition to be held for a week and coinciding with the Anniversary Family BBQ being held in December to bring the community together and commemorate the bushfire. 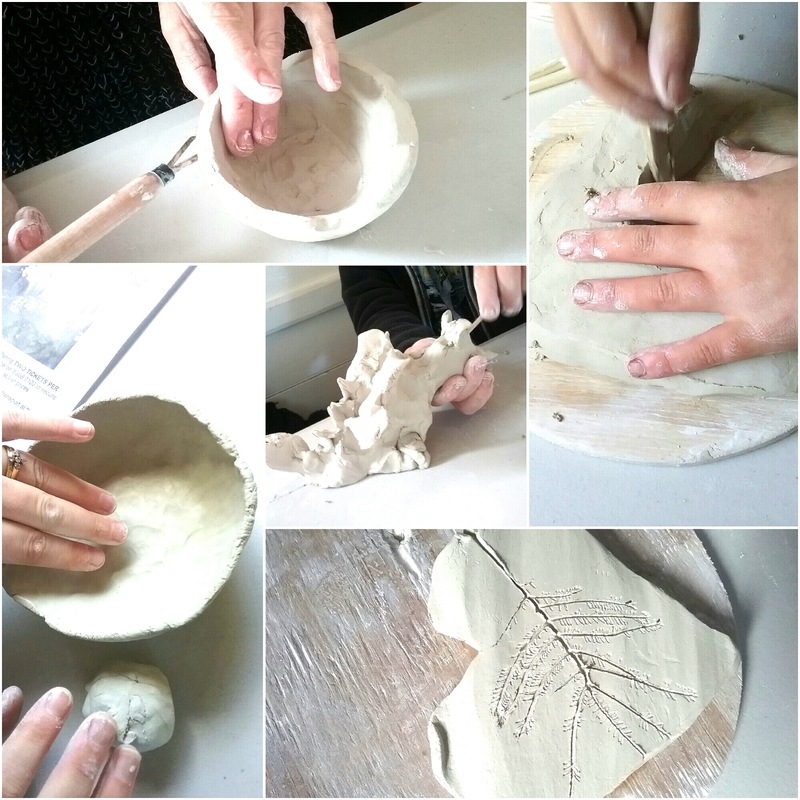 The session included clay (me), drawing, felting and jewellery making, and the community had a great day with a BBQ lunch between sessions. Sunday Studio Visit – taking the studio out of the studio! 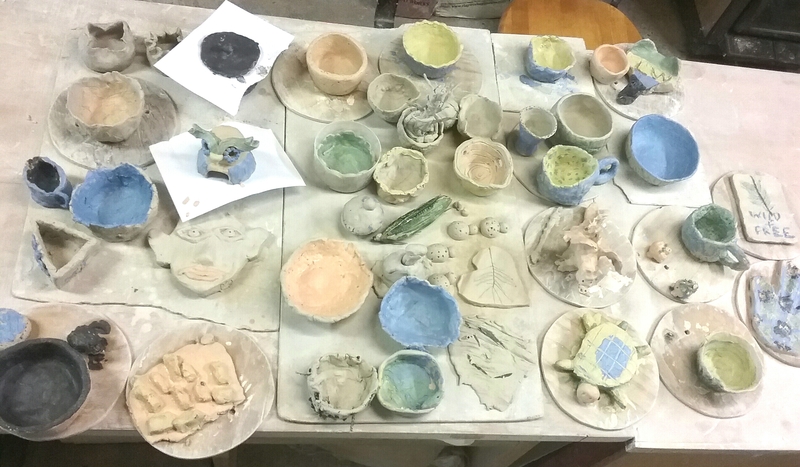 Today’s Sunday studio visit is a visit outside the studio – I spent the day running clay workshops as part of the Scotsburn Fire Recovery Art project. Scotsburn is a beautiful picturesque rural community on the outskirts of Ballarat in regional Australia. 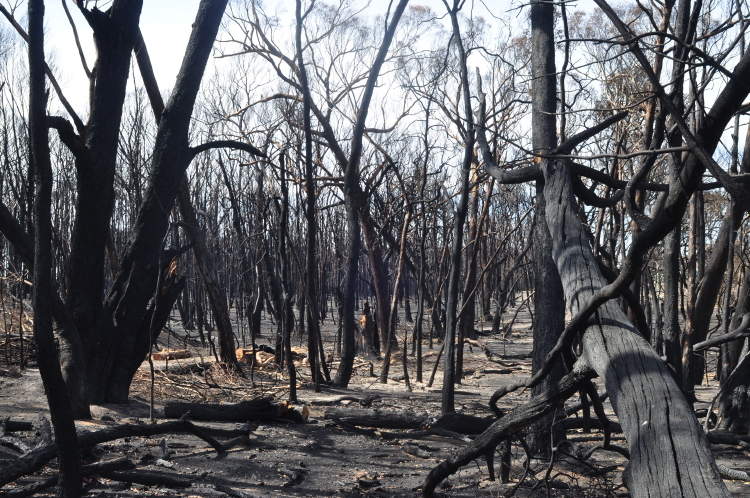 The bushfire happened in December 2015, and burnt through 4,000 hectares, taking livestock, shedding, homes and precious memories. I remember the day vividly . I live in Dunnstown – a stones throw away as the crow flys – and have friends living in the area, so we were very concerned and attentive to the situation on the day. In fact we watched the huge D10 waterbomber zigzag across the sky approaching the area to douse the flames. It was very scary and in the following days I visited the area and documented the scene in an artist capacity. I have not, as yet, developed these images in any way out of sensitivity to a community that is, and will be for quite some time, hurting on many levels. It is in response to this hurt that an arts recovery program has been developed to engage with the local community – art being an important vehicle toward expression and healing. 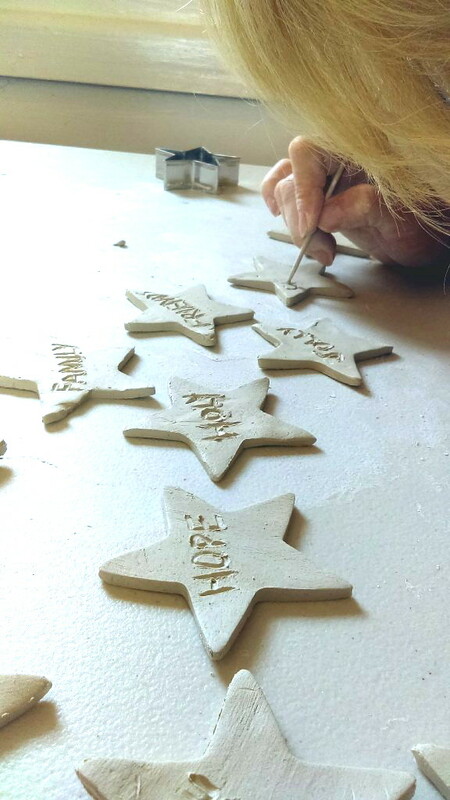 There are a variety of activities being offered to the community in a series of workshops – clay (that’s me), felting, drawing and jewellery making – which will culminate in an exhibition at the end of the year. And today was the first session! 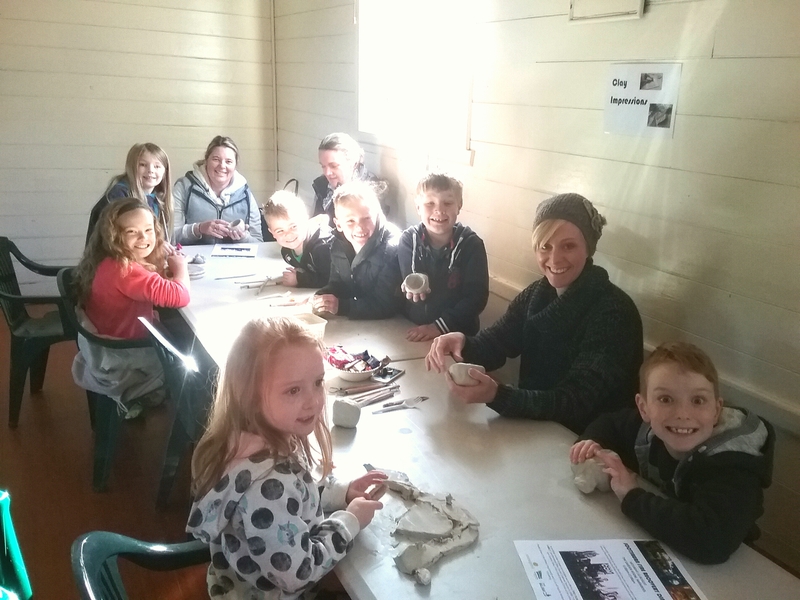 And I had some some happy cheesy smiley people playing with clay! 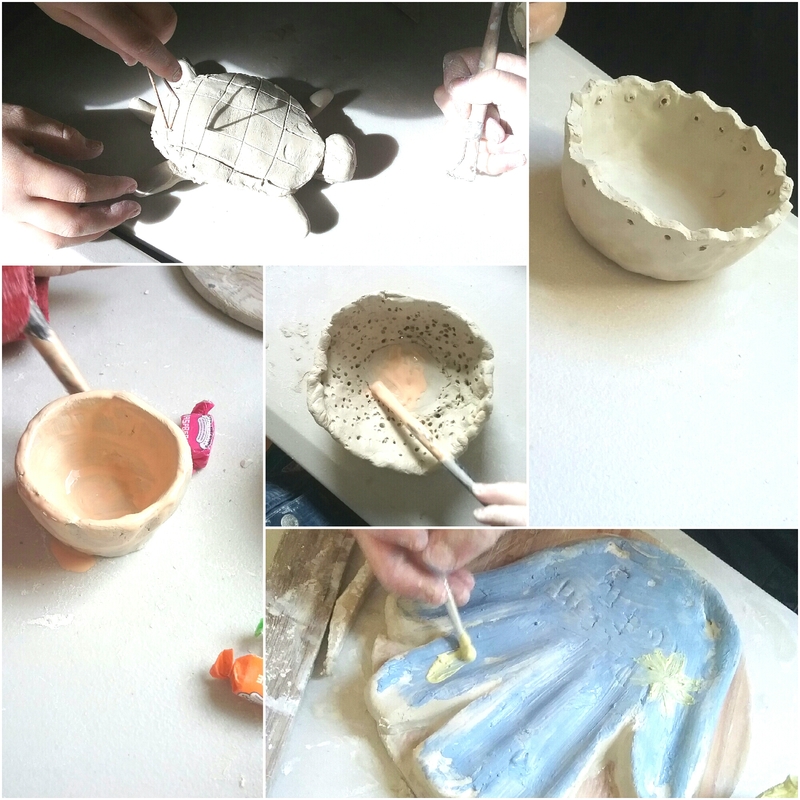 Lots of fab work was made during the day, and I can’t wait for the future sessions and the exhibition in November! And here are some pics from the day – enjoy! Mosaics Project: the official launch! Regular readers will be aware that over the past two terms I have been working with a group of enthusiastic special needs people at the Ballarat Neighbourhood Centre. The group, with some others from the centre, have been working on creating a community garden, and the group of people I worked with were specifically concentrating on the sensory garden. The garden includes a bed of fragrant plants and herbs, two bench seats and mosaic pavers made by each participant being installed in the pebble pathway, and a group mosaic mounted on the wall. You can check out previous about the making of the mosaics HERE. The theme of the project was Literacy and Learning through Community Gardening, a great concept, and after many weeks of hard, and fun, work, the mosaics have been finally installed and the project was officially launched on Wednesday with all the stakeholders present, including sponsors, funders, community supporters, creators, Neighbourhood Centre employees and the range of people who actively worked to create the project, such as my little group. Greens councillour, and now deputy mayor, Belinda Coates officially launched the project with a short speech and the cutting of the ribbon. It was a great afternoon, and the group were so proud of their achievements, seeing their mosaic pieces within the garden and observing the overall enthusiasm from all the people attending the function. A couple of them even made speeches along with the project co-ordinator Kate Owen. As well as the sensory garden the overall project also includes a series of wicking beds for growing herbs, vegetables and flowers, so the project does have a long term learning aim through harvesting and maintaining the overall garden. And the added bonus being that as the garden grows and becomes more established it will be a lovely community space that anybody can access for some relaxing and time out. The afternoon finished with afternoon tea which included a lemon slice which was actually ‘lemony’ – yum! The function room walls were also adorned with lots of photo essays of the project as it progressed and was an interesting and fun way to look back at the development of the project in its entirety. Personally, it was a great experience for me… I had a little exposure to mosaics many years ago, and with funding from Regional Arts Victoria was able to partake in a weekend workshop with mosaics expert Helen Bodycomb to refresh and refine my skills for the project. Helen remained ‘on call’ for any advise, which was great. Overall, it was a great project professionally, but also personally satisfying, with a fantastic community outcome. Discussing the group mosaic piece with Malcolm Sanders, Central Highlands representative for Regional Arts Victoria. Mosaics Project at the Ballarat Neighbourhood House. Hello everyone, hope you have all had a good week. Just checking in with a quick update on the mosaics project I have been working on for the past two school terms. The group meets once a week for two and a half hours and we have accomplished so much in this time – a mosaiced garden paver each, and a group mural which we almost finished by the end of the last sessions. Four of the segments are ready to grout next week, and the two will be ready by the end of the next session. So, I couldn’t resist doing a test run of how the overall mural is coming together, and I must say it looks great and the students were really excited to see the overall effect. Regular readers will know I am co-ordinating a community art project at the Ballarat Neighbourhood House. 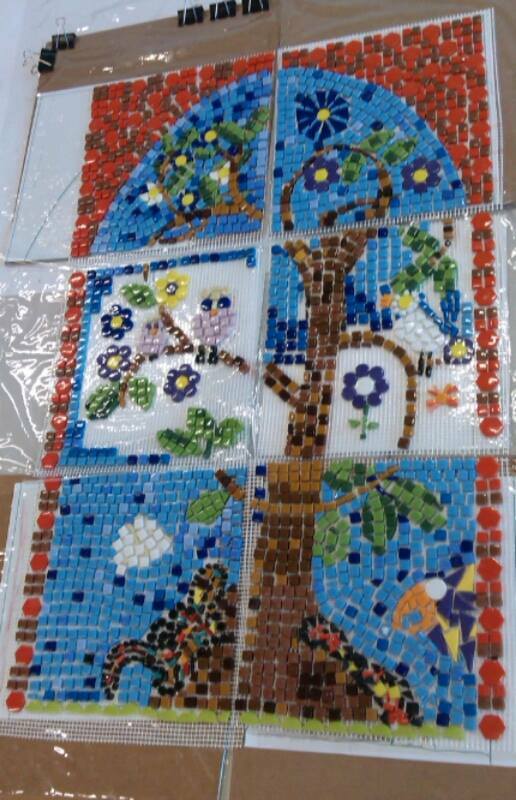 The great news it is all on schedule – the individual mosaics project is almost complete…. it won’t be long till we move onto the group mosaic mural. It has been such a great project with the students being so enthusiastic about learning something new within the context of literacy and numeracy. Here’s some pics of the almost finished work – some pavers have been grouted and need a final clean-up, the others have been cemented to the concrete pavers and will be grouted next week. They will look fantastic once they are installed in the community garden. As regular readers will know besides making art which I like to EXHIBIT and designing under my DeeDeeDeesigns brand, I also teach and run workshops in and around Ballarat. The last few weeks I have been on term break from teaching, but now I am well and truly back in the swing. 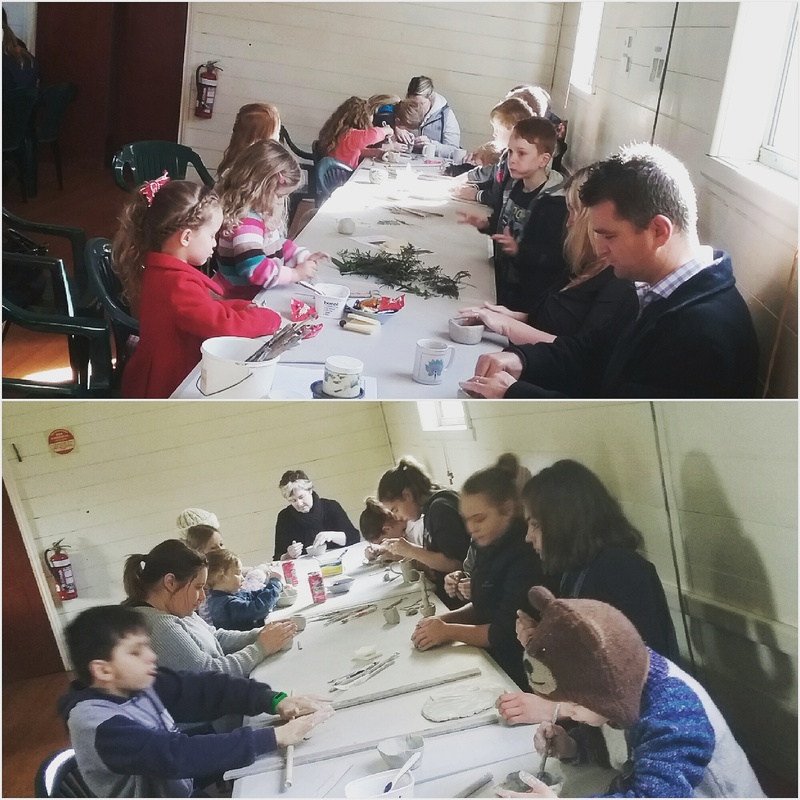 As well as running ceramic classes and workshops for my ClayMotion business, I have also been involved in a community gardening project with the Ballarat Neighbourhood Centre – you can check out an earlier post HERE. I am co-ordinating the mosaics portion of the gardening project, and today we began mounting our mesh mosaic designs onto the concrete pavers which will be installed into the garden – there was much excitement, it is starting to become real! !